Talent wars and counter-offers are commonplace, but how should they be navigated? Hiring is a game for both sides, and this week we’ll focus on how an employer should play it. Don’t sit on a candidate. If they’re “perfect” for the position, they are probably perfect for a few other companies as well. If you offer a candidate the job, and they don’t respond right away, or skirt around an answer, state a deadline. Say you’re willing to give them some time, but you’ll need an answer by ____. You could lose other talented candidates by putting all your eggs in one potentially-perfect-employee basket. Be flexible. If you’re replacing a recently-departed employee, don’t pigeon-hole yourself by seeking a replacement to fill those exact shoes. Sure, you’ll still need to be able to walk in these shoes, but if you’ve lost a sneaker, don’t be afraid to consider what a sandal could do for your company. Just because a candidate hasn’t perfected one aspect of the To Hire laundry list doesn’t mean they can’t. Being more open-minded than a competing company can better your chances of winning. Give a sneak peek. Sometimes it’s hard to look past what’s right in front of your face. Sure, your company probably has a plethora of great projects, but to this candidate, the here and now is what will stick in their mind. Give them a taste of what they’d be working on, throw them a bone, and you’ll pique their interest. If they’re deciding between you and another company, it could come down to the project they’d be working on, so by golly give them a good one, eh? Hmm, where’d we leave off? Oh, right. Creative industry unemployment is looking up, digital, video, and mobile jobs are in demand, and we started delving into the world of acquiring and retaining employees. So, alright. It seems like opinions about the value of creative departments have been changing a little bit lately. Any thoughts on that? Creative departments often look for the perfect, all-knowing candidate. A superman of creative skills, if you will. Though their intentions are in the right place, a shift is starting to occur where directors are realizing the professional value of developing the needed skills within their current employees, rather than spending excessive amounts of time seeking candidates that have all the necessary skills. They’re starting to consider the solution of maintaining a steady, solid staff, and supplementing it with more specialty-experienced contractors. Does that mean the market of employable creatives is shifting towards contract-work? Yeah! 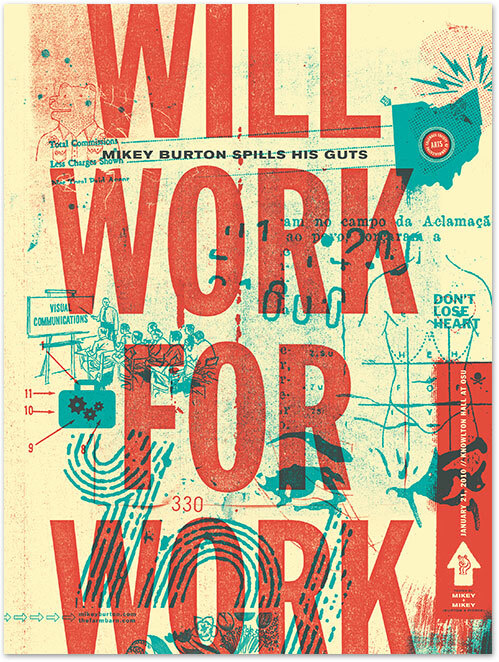 We’re actually finding that the recession has steered a lot of companies and creatives towards more contractual work. Since the economy has begun to recover, a little over half of all new roles have been contract roles. 40% of in-house agency Creative Directors plan to hire freelancers this year as well. Perhaps the best part is that it’s given these directors the opportunity to hire temp-to-perm. 75% of my clients grow their creative department this way. With a decent percentage of agencies and companies competing for freelancers, what advice would you give them to ensure they’re getting the cream of the crop? Simply put: compete. Put forth the best, most interesting work and the freelancers you attract will reflect that. Treat your contractors like a full-time member of your team, give them opportunities to develop their skills, and be honest and up front about setting expectations. Also, be open to hiring for aptitude and culture over hard and fast skills. People that are both adaptable to your company culture and capable of learning quickly will be valuable members of your team, even if they don’t fulfill your grocery list of technical skills. We will be checking in with our lady-in-the-know regularly from now on, so stay tuned! I recently caught up with Kristin Zwickau, our director here at CM Access, and picked her brain about hiring new employees and the state of the creative industry today. A quick video from Kristin! So, I know the topic of the moment is unemployment. What are we looking at, as far as creative jobs go? Are we in the clear yet? You know, it seems like we’re well on our way, especially our industry here in Massachusetts. Experts claim the natural rate of unemployment won’t drop below 5.6%. That being said, the nationwide unemployment rate of 7.7% is a bit higher than the natural rate, for recession-related reasons, but Massachusetts seems to be nearing the light at the end of the tunnel, at 6.5%. 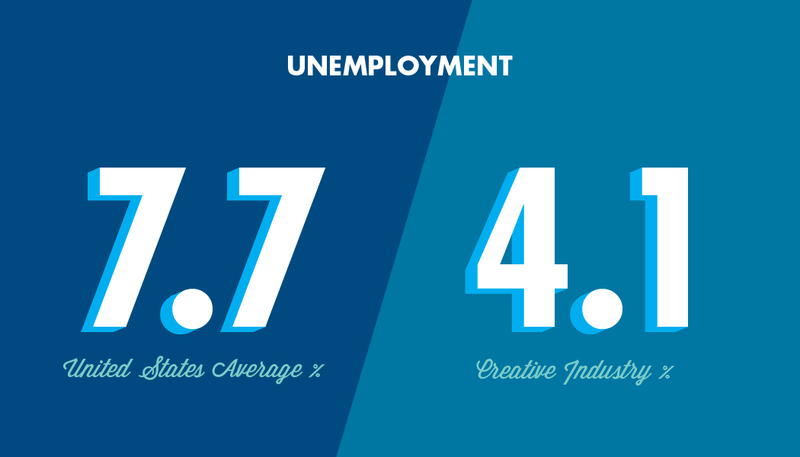 Even better is that the U.S. creative industry as a whole has a 4.1% unemployment rate. Mobile and interactive, specifically, is at 0.0%. ZERO percent! What sort of jobs are in high demand? The industry demand is for digital, video, and mobile jobs. Digital marketing is also an area that’s experiencing high growth, along with target/lead generation marketing. Corporations realize that in order to compete in today’s market, they have to go digital. I know one of the issues with creative employees is that monotony makes them antsy, so job switching is prevalent. On one hand, this provides a company with fresh talent, but sometimes adjusting to a new person can be a bit challenging. Do you see this as an issue? No, I really don’t. Generally, creative departments have a set number of seats that are full-time employees and then a percentage of staff that are contract. This allows the company to focus on, challenge, and retain top talent, while still bringing in fresh ideas from the outside. It’s also a way for the creative director to fill his or her pipeline with viable future talent to hire full-time, should a position become available. That being said, it is definitely in a company’s best interest to invest themselves in their employees. They say the successful manager of the future will be one that knows how to retain and attract top talent. So, it’s no longer about just getting the best people, but the challenge is in determining how to keep them interested and active in your company. It’s a cycle, and employee engagement is key. Keep your current employees satisfied by allowing them to grow while they’re working for you. Give them opportunities to socialize and learn new skills– make them feel like it’s a real give-and-take relationship from both sides. The overarching idea of having supportive management is probably the simplest way to break it down. Part 2 of our chat is coming up next week! Creative professionals are often ideal candidates to work from home, so this debate really got us thinking. Would teams collaborate more effectively and produce better, fresher ideas if they were physically together? Well, there’s support that’s not the case. NBC News’ John Schoen reports: By focusing more on measuring how well employees are doing their job, and worrying less about where the work gets done, companies with flexible work policies are seeing productivity go up, according to human resources experts. 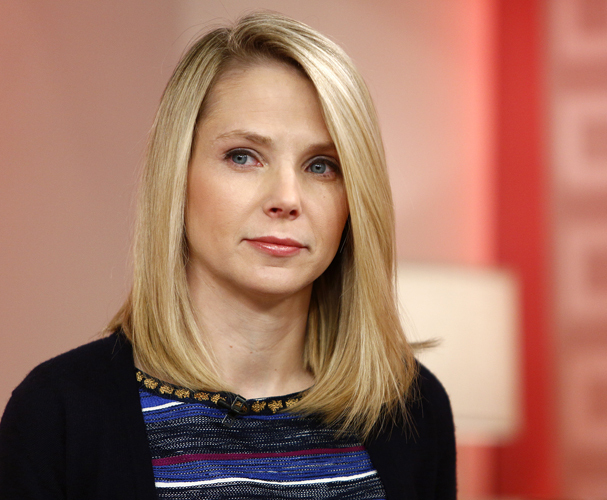 In a Forbes article, “4 Reasons Marissa Mayer’s No-At-Home-Work Policy Is an Epic Fail,” Peter Cohan points out that Yahoo employees are feeling demoralized. Demoralized employees aren’t likely to give their all, and we’d bet Yahoo is going to see an exodus of unhappy workers on the look-out for a company that supports them both professionally and personally. We’d love your input: Does your creativity spike when physically surrounded by other creatives? Where do you feel you get the most work done? How important is working from home to you? Let us know! Unlike Yahoo!’s recent tones, we value what our employees have to say.